Sometimes a batch of Spaetzle doesn’t work out. So where did I go wrong? Runny batter – stringy spaetzle – Try a little extra liquid to soften then and make them easier to work with. I have to ‘work’ my batter through the holes and they come out like bullets – Too much liquid. If testing with a small batch, add extra flour to the rest of the mix and it will thicken up. I added cheese and now my mix has broken up into a gluey mess – Only use a little parmesan for flavour. Do not used coarse grated cheese in the batter as it dissolves in cooking. My spaetzle are bland and taste of nothing but flour. – Make sure to use sufficient eggs, salt and pepper. Add flavourings such as herbs, spices, a little chicken stock powder and white pepper to boost the flavour. When I saute them, they are hard and dry or burn. 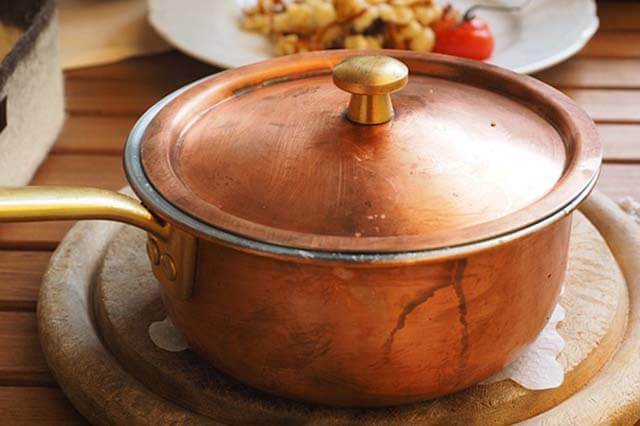 – Use butter or oil in the frypan, medium heat, use a lid and just before serving, add a shot of water (tablespoon) this freshens and plumps the spaetzle. Do not stir it too much in the fry pan, it is not fried rice. They are greasy when I simmer them in water. – Do not oil the pot, they will not stick. Rinse with cold water if you wish to freeze them in bags.